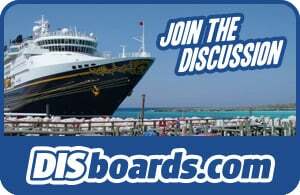 Information for Guests planning a Disney Cruise Line vacation with disabilities. All Disney ships and Disney's private island, Castaway Cay, provide guests with disabilities accessible staterooms and suites, as well as services, facilities and amenities, including auxiliary aids. Most guest areas on the ship are fully handicapped accessible. This includes theaters, restaurants, and shops. Guests may need to transfer from a wheelchair in some areas, such as pools. For more information, please call (407) 566-3500 [voice] or (407) 566-7455 [TTY]. Check out the disABILITIES forum on the DISboards for other guests' experiences. Scheduled onboard activities have special seating areas for guests in wheelchairs. It can be limited thought, so for assistance, speak with a cast member outside the theater entrance at least 10 minutes before show time. Stateroom Communication Kits containing a base unit with alarm clock, bed shaker notification, door bell and phone alerts, phone amplifier, smoke detector with a strobe light and a TTY. Guests can arrange to receive this kit at the time of booking, or through Guest Services onboard. It is recommended that your medication be in the original containers. The main problems would be coming back through customs when getting off the ship. It is a good idea to bring medication for the right number of days onboard and not much extra, just in case there are issues when getting off the ship. You may also want to bring a copy of your prescriptions, just in case. If your medicine requires refrigeration, you will need to fill out a medical form to obtain a refrigerator for your room (rather than just the standard cooler). This form is also necessary if you need a sharps container for disposal of syringes, etc. Many activities are available for the whole family. Children's activities are available for children age 3-12 who are potty trained and can interact comfortably with counselors and their peers. Counselor-to-child ratio is 1:15 for ages 3-4 and 1:25 for ages 5-12. Parents whose children cannot meet the program guidelines can make requests for modified programming through the Special Reservations coordinator prior to sailing. Ability to fulfill requests depends on the needs of the child, staff availability, and other factors. Get a note from your doctor that explains your child's disability. You probably won't need this, but you might feel better to have it. Consider arriving a day early. Special-needs children sometimes need time to adjust to changes and this gives you time to regroup after a long day of travel before boarding the ship. Have a designated quiet area. Make sure that you plan in some downtime. This can be in your stateroom, which will become a familiar calming place for your child. You also may find quiet lounges or areas of the ship that particularly appeal to you. If the atmosphere in the dining rooms becomes too much for your child, don't forget about the 24-hour room service. Don't worry if you have to leave the dining room, just head back to your stateroom and order some food there. If you choose to eat in the dining rooms, consider options like requesting a table just for your family or even getting noise-reducing headphones for your child. Just taking away some of the outside distractions may help a lot.